Seated with eyes gently cast down in deep meditation, this Meditating Buddha statue is the physical embodiment of reaching the enlightened state. 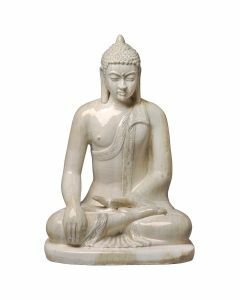 The Buddha features a cream glossy glaze finish. It measures 23" X 13" X 30"H. Click on image for greater detail.